The Spike It Value Pack Markers give anglers a cost effective option when purchasing markers to add that winning touch to their lures. 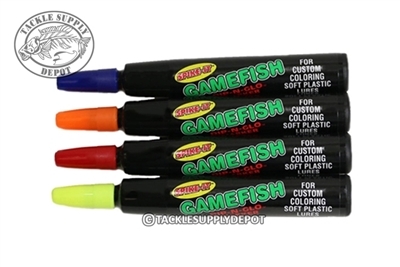 Spike It Scented Markers quickly customize or change the color of any soft plastic lure to meet challenging water conditions or fish patterns. Scented Markers offer the luxury of long-lasting scent and color change with the simplicity of a marker, making lure alterations easier than ever.